The Complete Kit includes pre-cut window film for ALL windows on the Volvo DL and GL Station Wagon except the windshield. The Front Tint Kit includes pre-cut window film for both of the front side windows on the Volvo DL and GL Station Wagon. 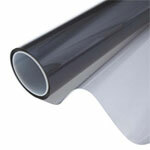 The Rear Windshield Kit includes pre-cut window film for only the rear windshield of the Volvo DL and GL Station Wagon.